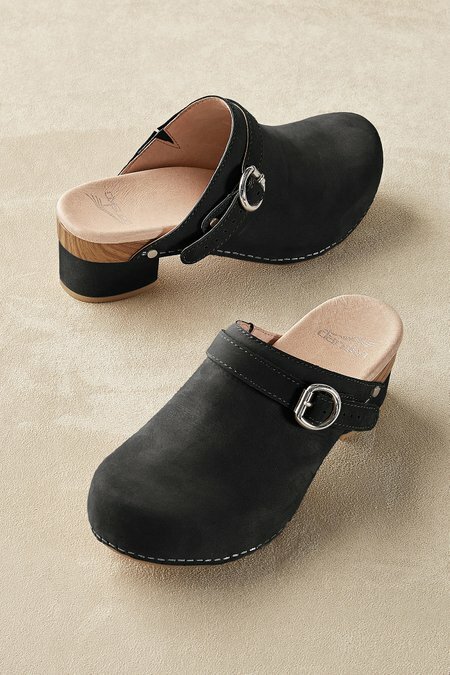 Slip into Dansko's nubuck leather clogs with wrapped heel, woodgrain midsole and buckled strap that converts to a slingback. Contoured, leather-lined footbed and rubber sole. 2-1/2" heel.